Our eyes are said to be the most important sense organ but 1 out of 100 Indians cannot use these organ and 6 out of the 10 Indians reading this, use a simple concave device perched above their noses to do so. If you are one among the latter, consider yourselves fortunate. Because to see clearly, something that most of us might take for granted is an out-of-reach luxury for most of the estimated 2.4 billion people around the world who are sight-challenged, and have no access to optometrists. According to WHO study, India is home to the maximum number of vision-impaired people and this includes more than 41% of its children who are unable to access or afford treatment. The saddest part is that 80% of these problems are curable and there are indeed social innovations and interventions hitherto unknown to us designed and being developed to help resolve some of these challenges. A lot of Indians are unable to address their vision challenges only because of lack of access and awareness. 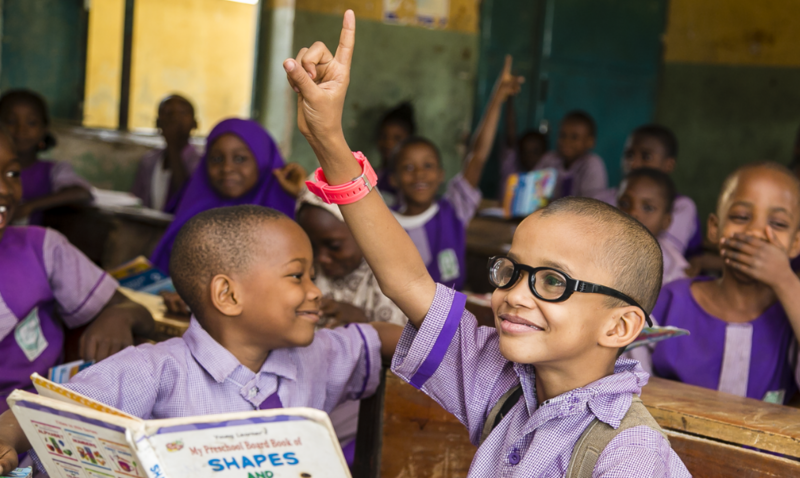 Today on World Sight Day, we hope to introduce to you, through this article, some of the best innovations, interventions and change-makers who are helping people tackle their vision challenges and gain access to a better standard of life. Uncorrected Refractive Errors are the largest cause of avoidable blindness in the developing world. The only comforting aspect of this situation is that refractive errors can be easily diagnosed, measured and corrected with the help of spectacles or lenses. 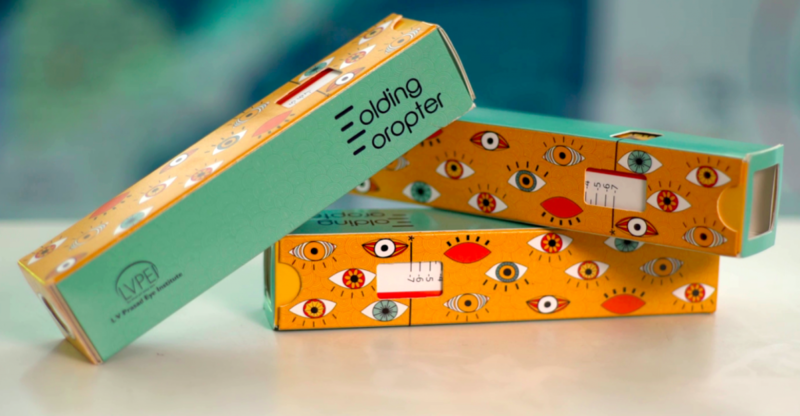 Developed by the LVPEI Center for Innovation, Folding foropter is one of the most affordable tool for refractive error screening in areas with lack of access to conventional eye clinics. A paper cutout folded around two lenses, the foropter forms 2 sliding tubes which the user needs to adjust to see the target clearly as he looks through the device. The scale attached gives the approximate refractive power. This eco-friendly and low-cost device is easy to use and lets anyone manage their vision check-up on their own, wherever they are. 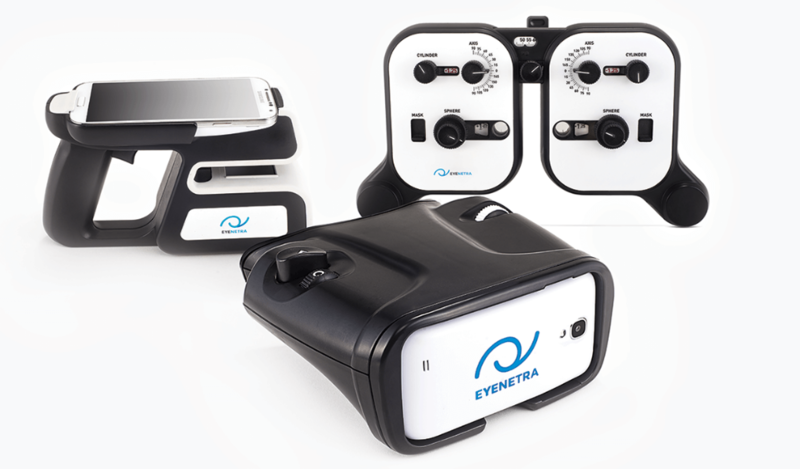 While Folding Foropter helps screen for low-end vision rectifications, Eyenetra offers high-end care and smartphone hardware applications to measure the refractive error of the eyes for glasses and contact lenses. Netrometer, one of their products, helps measure the refractive error via smartphone. Talking of the various attempts to ensure access to spectacles, one cannot miss FocusSpecs, the adjustable focus glasses. Both the sides of the glasses have little wheels attached to the arm of the glass and by a mere turning of these wheels the lenses can be adjusted to create anywhere from -1.0 to -5.0 or +0.5 to +4.5 vision correction. This extensive range coupled with the fact that anyone can alter the strength of the lenses themselves thus eliminating the need for an eye specialist makes them uber-cool. Moving to assistive technologies for people with blindness, the standard white canes come with certain restrictions including that they can only detect objects on ground and fail to detect overhanging objects or possible collisions. This is where Smartcane comes as the right solution. It is an electronic travel aid which can be fitted on top of the white cane detecting objects from knee to head height in front of a person and thus helping them detect objects and movements and around them and thus avoid hitting a tree branch or an open window pane. 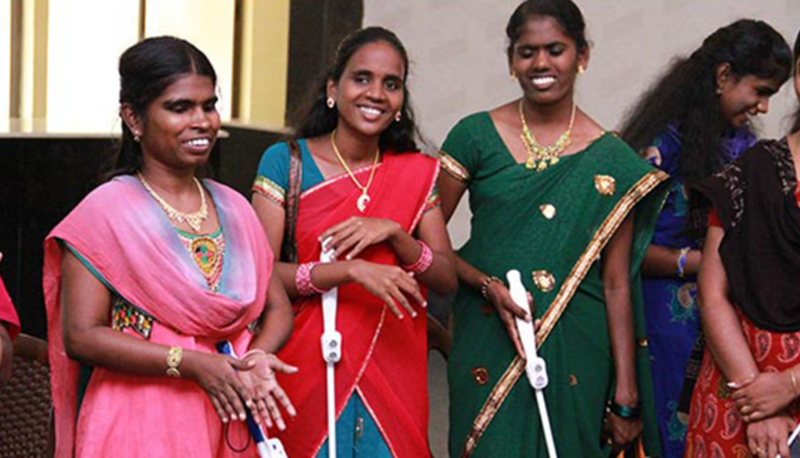 A Bangalore-based start-up, GingerMind Technologies, strives at producing cutting edge digital tools for the visually challenged. Eye-D, a package of a user-friendly device and an AI based app, helps users with their day-to-day activities, be it navigation, colour identification, reading texts and evaluating surroundings. The app is available for free while there exists a premium paid version as well. 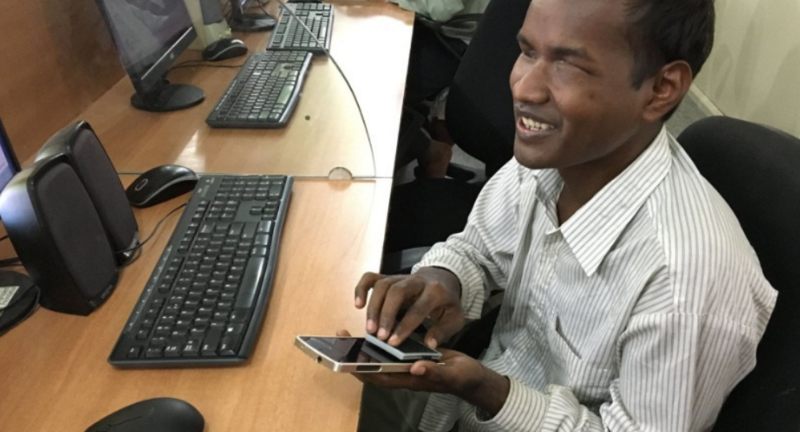 The usage of technology by people with visual impairment has been a challenge area. 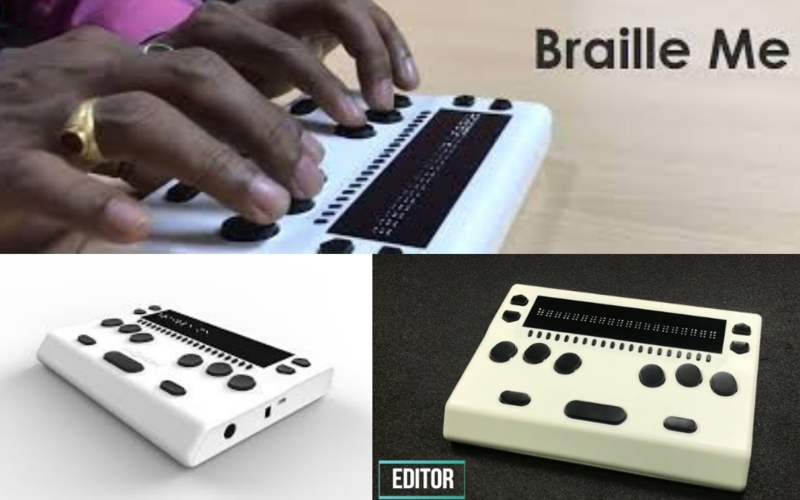 BrailleMe, one of the most compact and efficient Braille display for digital content, is solving for that. The refreshable Braille keyboard operates fast, smooth and can be used to take notes, create files, read documents and can even search for keywords within the files. While there are many brilliant entrepreneurial minds working to come up with super cool innovations, like the ones listed above, to tackle the vision challenges there are organizations, groups and forums with noteworthy interventions models working in this area. KIDROP is one such initiative. It is India’s first and the world’s largest Tele-medicine network to tackle infant blindness from Retinopathy of Prematurity. 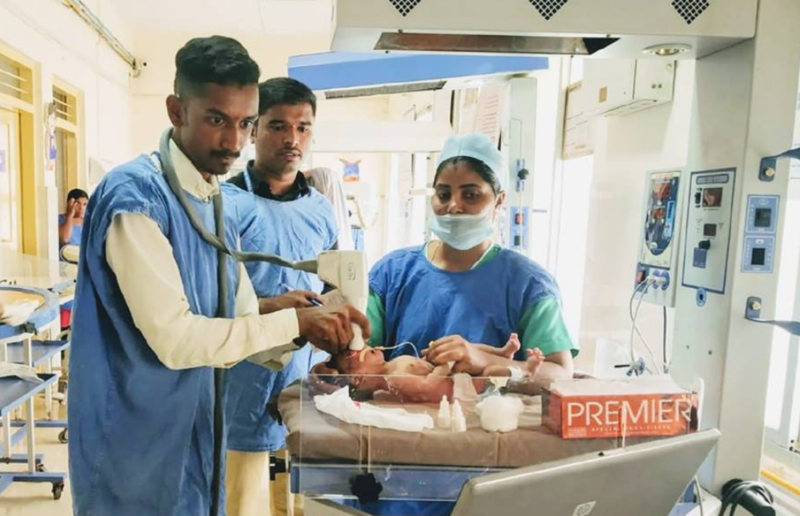 KIDROP has trained technicians to screen infants in the peripheral centres (where no specialists exist) and store, read, analyses, grade and upload these images from the rural centre itself. A remote doctor then diagnoses the condition and provides for treatment to these babies. SHAPING VISION is another initiative led by Global Shapers Chandigarh, where volunteers, in association with local optometrists, conduct eye-check up drives in different Government Schools and record the data. Thenafter they mobilize funds from local individuals and institutions to provide sturdy eyeglasses to these children. VisionSpring is a global chain addressing the eyeglasses market failure which affects affects more than 624 million people who could have their vision restored with just the right pair of glasses. They work in partnership with Governments and local organisations to deploy their projects be it the eye-checking camps, distribution of glasses, cataract-treatment to the needy etc. Apart from these solutions there are a lot of committed organisations working diligently to realise the goal of eliminating avoidable blindness and to maintain well-being of the visually-challenged. SightSavers, Akhand Jyoti, National Association for Blind are just a few of the many working with the aim of better vision and better lives. There are also notable hospital chains dedicated to the cause and working for the welfare and betterment of the visually challenged. Narayana Nethralaya and Aravind Hospitals are a few of them. On this day, we wish to raise the flag for better VISION first for all and work together to ensure that there occur no cases of avoidable blindness, We wish there is EYE CARE EVERYWHERE.